Alternate history, fantasy, and science fiction author Beth Bernobich is here today to discuss the issue of women’s invisibility in speculative fiction! She is the author of the River of Souls series (the RT Reviewer’s Choice Award-winning novel Passion Play, Queen’s Hunt, and Allegiance), Fox and Phoenix, and much more. Some of her short fiction can be found on Tor.com, and I highly recommend checking out her excellent story “River of Souls.” Her next book, The Time Roads, will be released this fall. If I had a dollar for every time someone said, “Women don’t write science fiction or fantasy,” I could buy enough books to fill my house a second time over. If I had 10 dollars for every time someone else said, “Oh, I read SF/F books by women,” and the names they recited were the same two or three you always hear, I could fund a library. Extra points if any of the authors are dead. If I had $100 each time a critically acclaimed SF/F book put women characters front and center, I’d have to find another source of income. Over and over, I hear that women don’t write the genre, they don’t read the genre, and they certainly can’t be the main character, unless it’s urban fantasy, and that’s really romance, so naturally that doesn’t count. And inevitably the conversation drifts back to the men who write genre, and the guys they write about. Women write in every single subgenre of SF–whether it’s hard SF, epic fantasy, steampunk, military SF, new or old weird–but either their names get left off the genre lists, or the list includes only a few standard names, or the genre they write is reclassified from SF/F to something else. And the way women are depicted in the genre–as prizes or plot points–only exacerbates the situation. That, too, is something that Russ covers, when she talks about popularizing works that relegate women to demeaning roles. Luckily, we have Fantasy Café’s Women in SF&F Month, now in its third year. And luckily other bloggers are covering this same topic, among them Liz Bourke, Tansy Roberts, Kameron Hurley, Foz Meadows, and Natalie Luhrs. But there’s more we can do, both as readers and writers. Read more books by women, that is. These days, I am deliberately seeking out more women authors for my TBR list. I look for recommendations about new authors, or established authors that are new to me. Ones who write in familiar subgenres, and ones who take me outside my comfort zone. I might not love every single book, but who knows until I try them? This isn’t about quotas, by the way. This is about making conscious choices, expanding the kinds of books I read, and discovering new-to-me authors. Women write SF/F, but if no one talks about us, it only perpetuates the myth we don’t write in the genre. So. Tell your friends about that amazing author you discovered. Write that review on Amazon. Add that author and their books to the next Goodreads list you make. And maybe, with all the talk, the next conversation about books in the genre will include their names. It’s no coincidence that the authors I mentioned write about strong women. It’s also not a coincidence that these authors go beyond including the one token woman. Their characters have friends and sisters and cousins and mothers, all with strengths and agendas of their own. But, but, I hear you say. I don’t like quotas. I just want to write good stories. So do we all. That includes good stories by and about women. Look, I know how easy it is to fall into the default mode of focusing on the men. That’s the narrative we’ve always heard, in books and movies, in the historical records, in our daily lives. Men are more interesting. Men do the important stuff. We can add a woman here and there, but not too many, and after all, we need a good reason to include any woman, never mind lots of them. Which makes no sense. Women make up half the population. Women have always played important roles throughout history. So what gives? Other than assumptions and preconceptions, that is. Oh, but assumptions and preconceptions are strong. Here’s my story. Two years ago, I decided to make an experiment. I was writing a YA fantasy story. When I started, I knew a couple things. That it would focus on three friends working on a school project together. One had a crush on the other. All three were young women. But what about the rest? There had to be a teacher, of course. Did he have a backstory? How much story space would he need? That’s when it hit me. Why did the teacher have to be a guy? I decided at that point I would only include male characters if I had a good reason to. And to my surprise, there were no good reasons. The teacher became a woman. 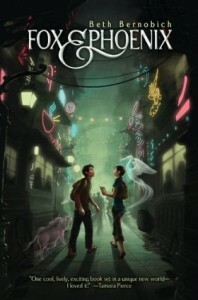 The main character’s family consisted of sisters and a mother. The kingdom became a queendom, and the heir a daughter. The shape-shifting ghost dragon turned into a woman in human form. One by one, the men and boys faded into the background or disappeared altogether. None of my readers, men or women, complained. And the editor who requested the story bought it. Fast forward to last year. 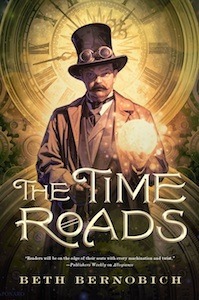 I’m writing the fourth novella for my alt-history novel THE TIME ROADS, which takes place in the late 19th/early 20th century. This novel consists of three previously published stories, plus a new one. As I wrote the fourth one, I struggled with myself. The existing stories utterly failed the Bechdel Test, even with its remarkably low standards. How could I counteract that? There was the strong queen, of course. But what about historical accuracy? And wouldn’t the genius scientist mathematician guy be the logical hero in this tale? Or the queen’s spymaster? Why try to shove yet another woman into the story? Except I had forgotten an existing character–another woman, also a genius scientist mathematician. Whose backstory fit perfectly with the front story. You see how insidiously easy it is to fall into that mode of men first and foremost? In the end, I wrote the final story with the queen and the woman scientist saving the world. They aren’t friends or lovers. They are uneasy allies, both strong, both flawed, but who both want the best for their world. And in the end, it’s both historically accurate and true to the overall plot arc. Beth Bernobich writes fantasy, science fiction, and alternate history. Her short stories have appeared in venues such as Asimov’s, Interzone, Tor.com, and Strange Horizons. 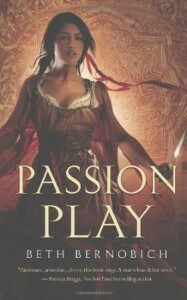 Her first novel, Passion Play, won the 2010 RT Reviewer’s Choice Award for Best Epic Fantasy and was long-listed for the Tiptree Award. Her forthcoming book, The Time Roads, will be available October 2014 from Tor Books.